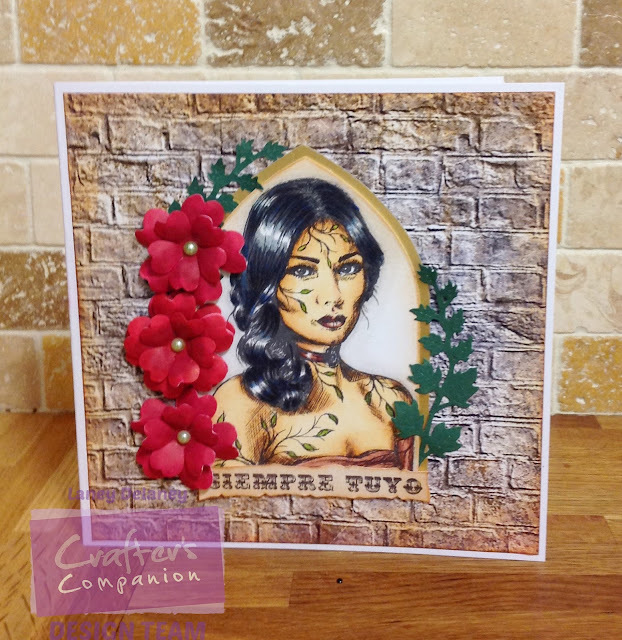 I love Sheena's DOTD range too - I used a set from it on my SOSS DT card - they are perfect for our challenge this time and you have used this one beautifully. Thanks for sharing it with the Sisterhood. This is gorgeously appropriate for Day of the Dead! Thanks for joining the fun at the Sisterhood of Snarky Stampers! Gorgeous creation, beautiful colouring and fantastic card for the day of the dead challenge at the sisterhood of snarky stamper. Beautiful! Great coloring, I am not such a colorer! What a Wonderful Card, you did a lovely job on the colouring but it's your background that has me swooing! Thank you for sharing your wonderful creation with us over at the Sisterhood Of Snarky Stampers! Thanks for joining the sisterhood of snarky stampers for our "D is for Day of the Dead" challenge! Beautiful image and what a stunning card! Love it! Thanks for joining us at the Sisterhood of Snarky Stampers! That is very cool. I love it. Thanks for joining our day of the dead challenge at the sisterhood.